It is our commitment to offer home care services with a heart. 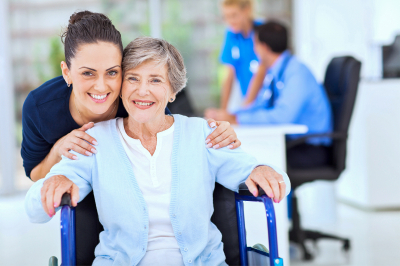 HomeHearts HomeCare is your dependable home care provider based in Silver Spring, Maryland. We offer our services to senior adults and individuals with physical or mental disabilities in the metropolitan area of Washington, D.C.
We help our clients by reducing the need for hospitalization and providing assistance right in the comfort of their homes. Our care plans are customized according to their unique needs, in coordination with their family and physician or healthcare team. Through our dependable staff members and high standards of service, we can enhance your quality of life and promote your independence without being far from the people you love. We truly offer care that comes from the heart. We are committed to providing high-quality, client-centered, and affordable home care services to our clients to assist them to live dignified and independent lives in the comfort and safety of their own homes. Our dream is to reach more and more clients as we expand the scope of our services in response to the growing need for quality in-home care services in the country. If you would like to know more about our services, please call 301-263-5923.